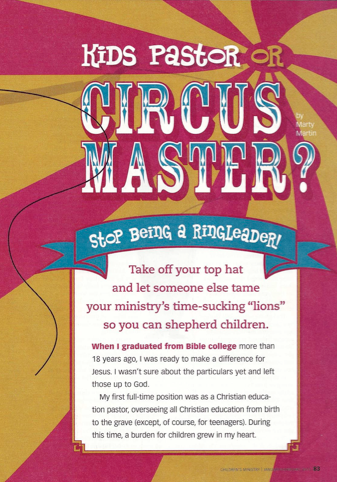 Home Children's Ministry Kids Pastor or Circus Master? Kids Pastor or Circus Master? 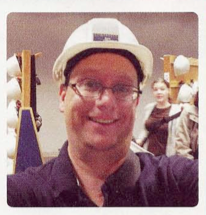 Here at Kidology we are bursting with pride over discovering Marty Martin’s article in the latest issue of CM Magazine! Marty is the Kidology to Go director, our roaming Kidmin Training Ministry! Enjoy the article – and mention this blog post and get $50 off a Kidology to Go event booked during January or February in Southern California, Arizona or South New Mexico or Nevada – check out the schedule for more info! We hope you enjoy Marty’s article – but better yet, we hope you’ll book Marty and his family at YOUR CHURCH! Kidology to Go is visiting ALL 50 STATES and driving across Canada so BOOK YOUR EVENT NOW before all the slots are taken. 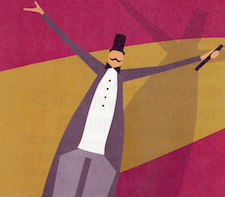 PLUS, you can now book Rob Biagi for a Friday evening Family Concert the evening before the training event. Contact Marty for complete details! If you aren’t a subscriber to Children’s Ministry Magazine (in which I have a column, Age Level Insights, ages 6-9) you truly are robbing yourself! In this issue alone my good friends Jamie Doyle and Gordon West contributed! 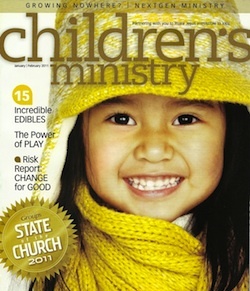 And, of course, while I’m at it, I have to recommend, Children’s Ministry Magazine Professional Edition as well. AND remind you that BOTH of these can be subscribed at a DISCOUNT on Kidology.org! Thanks Karl for the encouragement! Star Wars III - Trailer due out March 10th! Should You Explain the Secular History of Easter? Easter Bunny Secret Identity Revealed!